This webpage provides information about current and proposed development projects in Union Grove. Visit the Village Meetings page for information about upcoming meetings of the Village Board, Plan Commission and Community Development Authority. Also be sure to follow the Village’s newsletters for more news and announcements. The Granary development is a 73-unit multi-family development project consisting of five townhouse-style apartment buildings near State St. and Mill Ave. and one commercial building on Main St. The project is the result of a multi-year planning effort to revitalize an old grain mill site near downtown Union Grove. 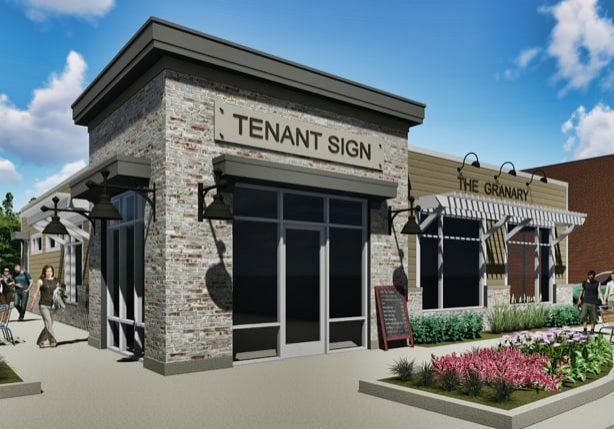 The Granary development aims to eliminate blighted conditions that existed on these lots and to help support local businesses in the downtown area. March 2019 – After breaking ground in early Fall 2018, construction of The Granary townhouses are well underway and an application waitlist has started for occupancy later this year. Road and utility work is beginning on State St. and Mill Ave. A retail tenant for the storefront on Main St. has not yet been announced. 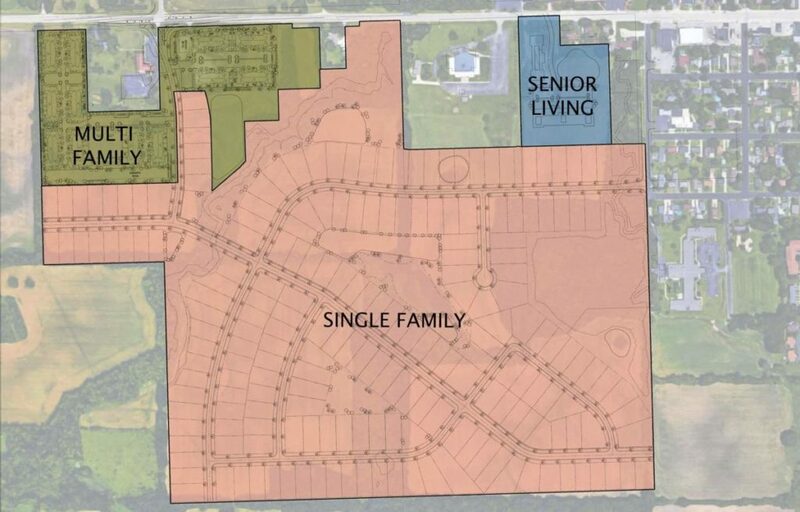 March 2019 – Representatives from Bear Development presented a concept plan for Canopy Hill to a joint meeting of the Village Board, Plan Commission and Community Development Authority on February 25. A revised concept plan is scheduled to be presented at another joint meeting on April 22 at 6 p.m. In 2018, Pre/3 purchased the western half of the “Fonk property,” a 45-acre parcel located in the southeast corner of Union Grove on 69th Dr., east of Shuman Dr. 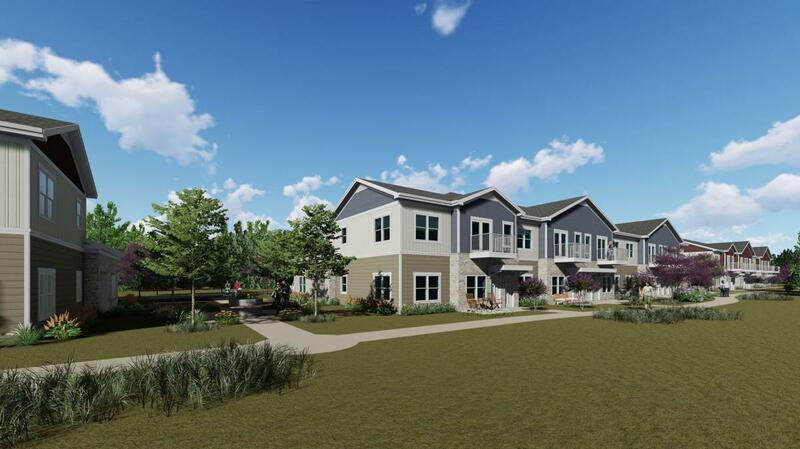 The Residences at Dunham Grove is a proposal for 24 single-family lots, a 48-unit multi-family development, a 72-unit multi-family development and additional future single-family lots. The developer indicated the project “will allow the Village of Union Grove to provide additional housing to capitalize on this growing demand. 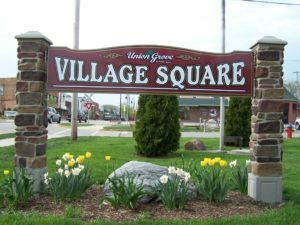 This will ultimately allow the Village’s population and overall tax base to grow significantly.” A concept plan was presented to the Plan Commission in June 2018. 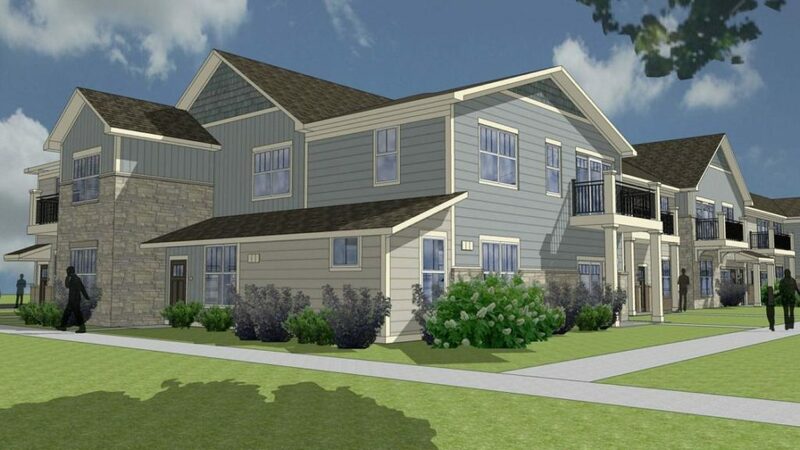 April 2019 – Pre/3 has submitted zoning applications for The Residences at Dunham Grove with the hope of starting construction in Summer 2019. It is anticipated that a preliminary plat application will be considered by the Plan Commission on May 6 and public hearings for re-zoning and amending the comprehensive plan may take place at the Plan Commission meeting on June 3. In December 2018, Don Houston (Houston Properties LLC) approached the Village with the request to acquire the back portion of Indian Trail Park for the purpose of building two new apartment buildings. The back portion of the park (approximately 17,000 sq. ft.) is a wooded area not currently used for park purposes. Although there are no restrictions on the land to use it for park purposes, the Village declined the request to transfer the land to Mr. Houston at no cost. The Village has not received any formal proposals for the land or development on the property.